Gay Men To That!! : Mass. Senator Scott Brown Compares Gay Rights To "Pet Projects"
Mass. 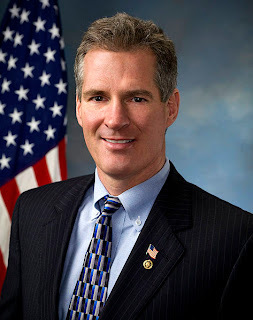 Senator Scott Brown Compares Gay Rights To "Pet Projects"
In an obvious attempt to pander to the gay community, Massachusetts Senator Scott Brown writes an opinion piece in New England's GLBT Magazine Bay Windows. In it, he promises the gay community...nothing. I don’t come before you with a checklist of items promising that I will be an advocate for you on each and every one of them. My opponent has already started down that road, promising to support everyone’s pet project. That’s not the way I have ever operated. So, he not only commits to nothing in terms of issues that have a direct affect on the lives of the GLBT community, he likens his opponent Elizabeth Warren's commitment to GLBT rights to support of "pet projects". He dismisses our civil rights to be no more important than, say, a tax break for a relocating company. Even worse, he says these "pet projects" take a back seat to creating jobs. But I will go to work for you on the most important issue facing us—getting this bad economy working again and creating jobs. Everywhere I go, people tell me they are concerned about their economic future. They are worried about being able to provide for their families. Incomes are down, gas prices are up, too many people are unemployed and many folks are stuck in part-time jobs when they want full-time work. In some cases, people are working two jobs that pay less than they used to make at one. I have made job creation my top legislative priority, and I have a proven record of working on a bipartisan basis to move our country forward. He doesn't consider the irony that his "priority" on creating jobs means nothing to the gay community when, in 29 States, you can be fired from your job simply because you're gay. 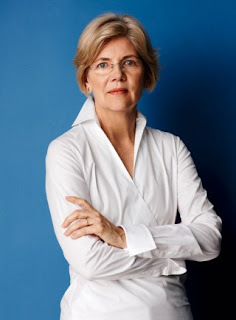 His opponent Elizabeth Warren is a fierce advocate for GLBT rights. Her priorities are our priorities.